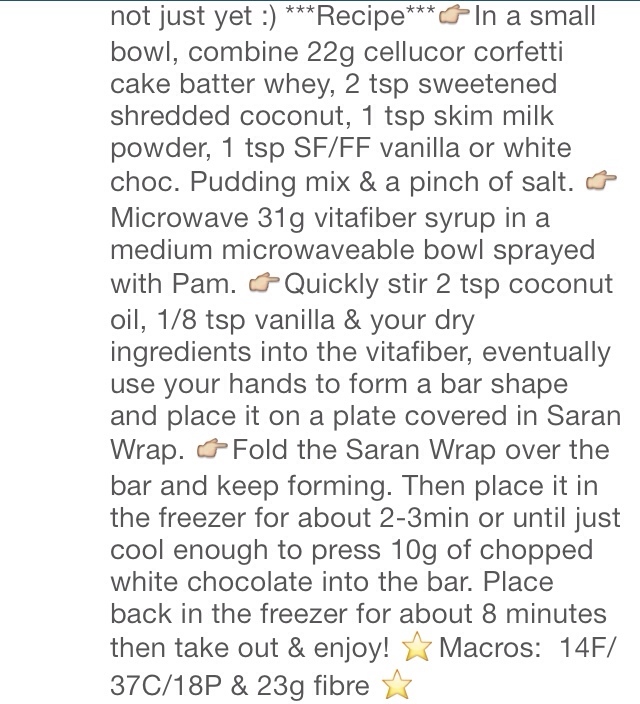 A perfect grab-and-go low-carb snack for when you are craving something sweet! These are VERY filling! Combine all ingredients in a large bowl. Use your hands to mash everything together. Form 5 burger patties and set aside. Heat a large frying pan to medium heat, melt a tbsp or more of butter and place the burgers in the pan(you can repeat steps if using a smaller pan). Remove from pan and serve hot with avocado slices and tomato(bruschetta topping in my previous recipe would be a great addition as well!!) Enjoy! These may be ARE the best keto cookie I have made to date (and I’ve made A LOT). Chocolatey, rich, fudgey and delicious. The combo of a brownie and a cookie creates perfection. This don’t take long to make and are so worth the process. If you have a nagging chocolate craving, make these cookies now and you won’t be disappointed! In a medium bowl, using a hand mixer, beat together 2 tbsp butter, egg, sweeteners, vitafiber and vanilla for 2min. In a separate bowl, microwave your chocolate-chips and the 1 tsp of butter in 30s increments until melted. Beat the melted chocolate into your egg/butter mixture until smooth. Stir in the rest of the dry ingredients just until combined and then fold in the pecans and the final tbsp of chocolate-chips. Place your batter in the freezer for 7-8min and preheat your oven to 350*. This is how it should look after it comes out of the freezer. Spray or grease a large baking sheet with oil. Drop the batter by heaping tbsp’s onto the cookie sheet. Lightly flatten each with the back of an oiled spoon. Let the cookies sit on the tray to cool for 10-15 min before moving onto a wire rack. Enjoy immediately or store in an air-tight container on the counter or in the freezer for a quick snack later on! *You can choose to use unsweetened baker’s chocolate instead of the chocolate-chips mentioned, just be sure to add a bit of extra sweetener to the recipe. **You can use 1 sweetener for the entire recipe, just take into account that truvia is 3x sweeter than regular sugar so you’ll need 3x the amount for a typical sweetener like erythritol or splenda. Well guys, it’s been another long day of bread-making/destroying my entire kitchen to the point of no return (if you missed this, I also did a similar experiment last year). But even if my recipes don’t turn out exactly how I want them to, I just use it as reference for next time, think of what I can change and go from there! I did one with coconut flour and greek yogurt and another that was made with a few more egg whites and mainly almond flour. Well, I mean they look like bread! They act like bread, you can slice it and toast it. But they did come out denser then I would have liked (as I was kind of expecting). On one hand, the coconut flour one had great flavour. I actually just kept picking at the inside of it. But because of the moisture content(likely from too much greek yogurt) it was not fully cooked through even after 50min in the oven, yet the outside was getting QUITE tough and brown. So I decided to call it quits. This one was a slighttt fail. But.. Honestly the almond flour based one I think is fine for eating if you don’t mind it being dense! I am definitely going to be using it for breakfast the next few days. I am going to work on improving the almond flour-based recipe and lighting it up over the course of the next month so look out for a future post. Add your yeast and sugar to the warm water in a measuring cup. Add all of your dry ingredients to a large bowl. When your yeast is bubbly/frothy (2-3min) add it to the rest of the dry ingredients. Add an additional tbsp or two of almond flour if needed (recipe #1), Add an additional tbsp or two of water if needed (recipe #2). Knead the dough for 3-5min. Place it in a greased bowl, cover with saran wrap and place in previously warmed oven or microwave for 50min. Remove from the bowl, lightly punch down, separate into two chunks, form each into a rectangular shape and place in a small greased or silicone bread pan. (Alternatively you can make it into a sphere and bake it free-form or in a ramekin). Let the dough rise for another 35-45min. Pre-heat your oven to 375* for recipe #1, 350* for recipe #2. Bake recipe #1 for 30-35min or recipe #2 for an hour or until the center is cooked through. Remove from oven, turn out of the pan and let cool on a wire rack. Slice in half, toast, eat immediately etc. UP TO YOU! For Recipe #1: Each half of a small loaf=1 serving (it’s more filling than you’d think!). Whether you’re a pro or a beginner, these baking tools will have a noticeable impact on the outcome of your final product and ease of prep work. I, myself, am all for old-school baking and cooking with minimal tools ( ie. using one bowl for everything – I’m not a fan of dishes!). But when it comes to baking or cooking up the best, most delicious and visually appealing desserts and entrees, these tools really do come in handy. Add these items to your own wishlist or gift them to a fellow low-carber, either way, they are bound to bring a smile to someone’s face this holiday season. Food scales are the key to learning portion size. They are a great starting point. Once you get familiar with portion and serving sizes, you can slowly decrease your dependence on the scale and focus more on the intuitive aspect of eating (being that, you’ve now trained your eyes and your brain to see foods in a different light). But don’t go tossing aside your food scale too quickly! Food scales are also ESSENTIAL when it comes to baking with consistency and accuracy. Ever wonder why a dessert doesn’t turn-out, even though you followed the recipe to a T? Well, for one it might just be a bad recipe..BUT more likely, it was a difference in weight created by the slight packing of flour or sugar. Even amounts like “1 cup of chopped fruit” can vary greatly depending on how the food is cut, sliced or placed in the measuring cup. As noted above I like baking with minimal bowls and utensils. You know the best way to achieve this? A FOOD SCALE. You can easily measure all of your ingredients in one bowl without all the fuss of measuring spoons and cups. If that doesn’t convince you to use a food scale in your baking and cooking then I’m not sure what will! It rarely ever needs battery replacements, its extremely accurate with measuring, durable and easy to clean (I can honestly say this after witnessing the many extreme kitchen disasters it has endured). It also measures more than just weight, it has a full nutritional display with the ability to manually input nutrition info for a specific item to recall later. And last but not least, it’s nice to look at and has never failed me once. If you are a low-carb eater and you still haven’t heard of a spiralizer, then you’ve been missing out! I’m here to inform you that this simple tool designed to “spiralize” zucchini and other vegetables into noodles will basically change your life (OK, maybe that’s a little extreme, but if you’re an ex-carb lover looking for a pasta replacement, this thing is pretty dang awesome). It might not create magical low-carb pasta but it creates a pretty close alternative. And with the right toppings and sauce, you will be AMAZED by how little you miss the typical carb-laden noodles of the past. 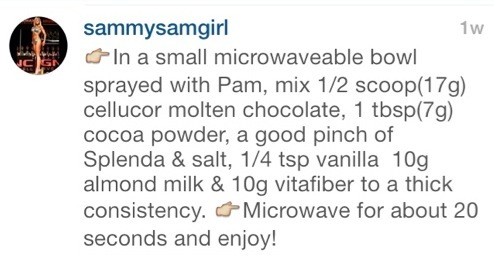 Take this recipe for example.. It has an end for both thicker and thinner noodles and is super easy to clean! Bonus Tip: The key to perfect “zucchini noodles” is to first press them in paper towel to drain some of the excess liquid. Then heat a pan with oil (can be sprayed lightly with oil) over high heat. Toss the noodles in when the pan is hot and stir-fry them for 2-3min or until the noodles just start to wilt. You want to partially cook them but still leave them with some crunch. This helps to prevent excess water being released and diluting into your sauces. Remove the noodles when done and add to whatever sauce or dish you’d like, or just serve with some butter and parmesan. Alternatively you can add the noodles directly to the same pan at the end of any stir-fry, just before serving. From grinding nuts and seeds to butter or flour, cottage cheese to a smooth puree for use in cheesecakes, sweetener to a fine powder (powdered sugar replacement! 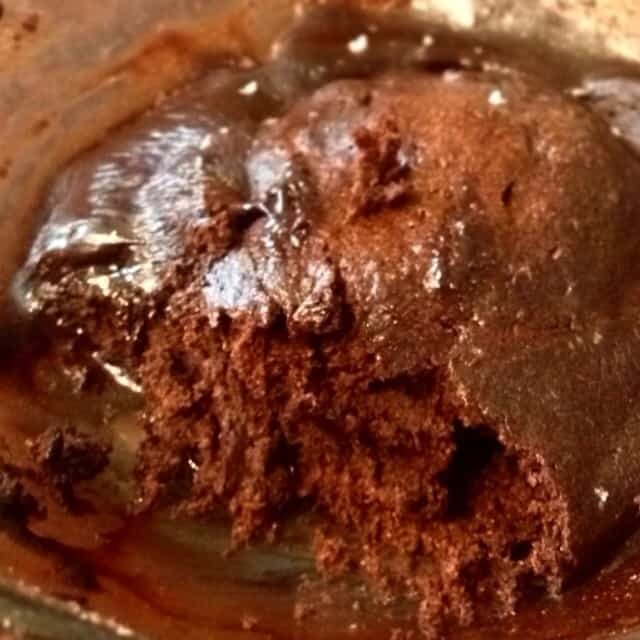 ), to beautiful silky smooth avocado-chocolate pudding, ..a food processor can do it all. Blenders are a great option for many recipes like smoothies, “protein ice-cream“, pancakes etc. But if you are looking for the finest texture, the ability to breakdown tougher foods, and an easier clean up, a food processor is likely a more appropriate option. ..and have become obsessed with creating new and interesting sauce combinations along with grinding my different flours to result in lighter and fluffier baked goods! Plus,this processor is adorable (I don’t describe many kitchen products this way). But it’s small, compact and pretty to look at. Most of us live a fast-paced life. One where you are either working hard, on the go or busy attending social and life events. When we return home, cooking is the LAST thing on our minds (if it isn’t then props, that’s dedication!) and as such, we reach for the quickest food options available. Counter to it’s name, it will have a meal prepped and ready for you the moment you sit down. All you have to do is throw in a piece of meat or a few basic stew/soup ingredients in the morning and you’re good to go! Fresh, hot, steaming, delicious food ready when you are. Hand-held blenders are my preference to regular stand blenders. Why? They offer flexibility and create less mess! I personally use hand-held blenders more in savoury dishes than I do sweet. Majority of the time it’s soups (okay let’s be honest, I’m obsessed, it’s always soup). But have you ever tried pouring boiling hot soup into a stand blender, blending it then returning it to the pot? Messy, messy, messssy is all I can say. (More dishes too! ..and as you are progressively learning, I hate dishes). Not to mention, trying to transfer boiling hot liquid from one container to the other. Especially when you’re me or you’re equally un-coordinated, this is a disaster waiting to happen. Thus, hand-held blenders are my first choice. No need to remove your soup from the pot, quick clean up and a much lower risk of clumsily burning yourself. I feel like this grill is legendary..and for good reason. It’s been around for a long time but that’s because it does what it’s supposed to (grilling, obviously!) and it does it well. Now, I feel like this is more of an option for those living in colder climates. I might be slightly ranting about my current weather situation and that probably shouldn’t be the reason you choose to purchase this item or not so let me continue with the actual constructive information. The grill is meant to enable you to do all of your BBQ-ing indoors. Assuming you don’t have to feed 20 people at once, this grill is probably perfect for you. It’s small, compact and requires little technical skills to use (trust me, if I can figure it out on my own, so can you). You can grill vegetables, meat, or you can even get REALLY creative and grill a low-carb panini using low-carb bread. Who doesn’t want homemade, creamy, dreamy full-fat ice cream conveniently prepared and always at their disposal? Low-carb eaters are known for eating high-fat, so why not indulge? Take full advantage of the ability to eat rich, decadent ice cream. None of that low-fat, icey so-called “healthy ice cream” over here. Yup, that’s right I don’t own a donut pan. I’m obsessed with donuts, I created delicious low-carb keto donuts, yet I still don’t own a pan. There’s something wrong with this situation. This is another one on my personal wish list! (At least the mug still is). But something it’s not as well known for is blending egg whites! If you need to fluff a few egg whites for some waffles (or my 1 min keto english muffin recipe), use this thing! It will do a crazy-good job! As for the Self-Stirring Mug, just watch this video and tell me it’s not totally awesome. I just want it for the sake of showing other people. LOL. But I’m sure it’s also convenient when you need that perfect BPC on the go. This one was just too fun not to share. It’s simple but creates endless opportunities for creativity. Again, my english muffin recipe doubled would work amazing for this, I’m sure! You could even toast the bread, use it for french toast, make bread pudding out of it, sandwiches, ETC! Plus, everything tastes better when it looks cool. Right? That’s how it works. …Andddd with that, this ends my “10 Low-Carb Christmas Gift Ideas for the Low-Carb Baker“. If I forgot to mention any other cool, neat or useful kitchen gadgets, please leave a comment below! I am interested to see if anyone has anymore creative items I can casually spend all of my money on (kidding!-sort of). I’d like to thank you for taking the time to read this post! Please share it if you found it helpful. I look forward to seeing you all in my next posts! I have many new ideas (including the low-carb baking substitution guide, it’s coming, I promise!) but I am open to writing suggestions in relation to any of the following; low-carb dieting, keto, macro-counting, fitness or nutrition in general! Follow me at: @sammysamgirl for more! 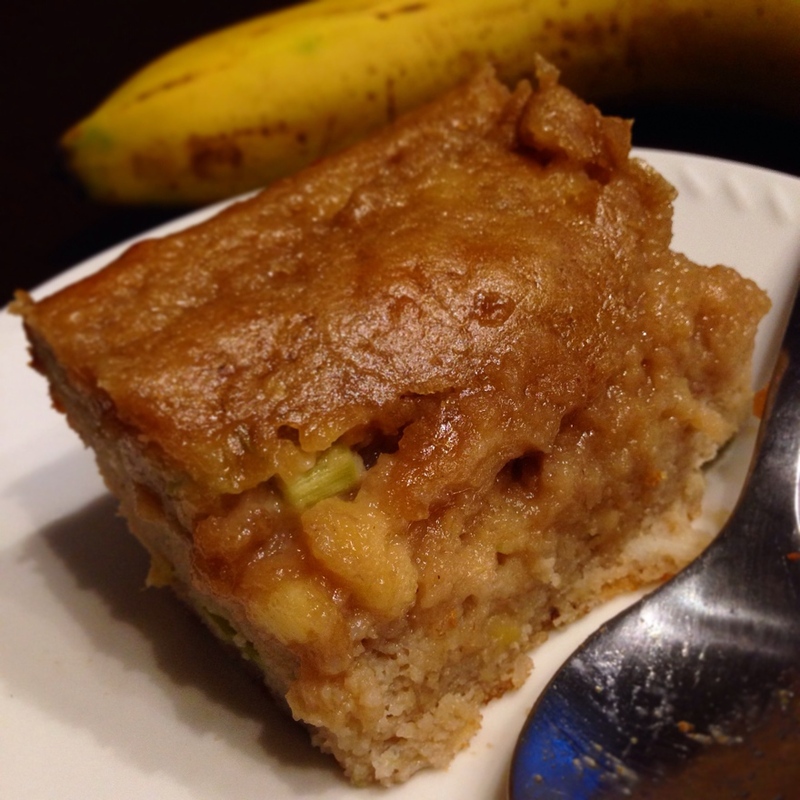 This was a dessert I created so I could still eat banana bread after having my wisdom teeth removed! Haha. If you would like regular banana bread then feel free to only use 1/4 cup almond milk and fully cook the bread. But I have to tell you, this pudding version was quite delicious and I might make it again even when my mouth has healed! Rhubarb is also optional but highly recommended! We grow it in our garden so this was the perfect opportunity for me to use it but chocolate chips would be great too. The pudding serves 6 and comes in at a modest: 4F/20C/11P & 7.5g fibre per serving. Fold the dry ingredients gently into the wet along with 1 tbsp(15g) melted butter until JUST combined. Fold in 1/2 cup diced rhubarb and scrape the mixture into a small loaf pan sprayed with pam. Bake for 35-40min or until the edges have browned slightly and a toothpick comes out JUST barely clean but the center is still moist(don’t overbake!). Cool before slicing and serving! Enjoy! 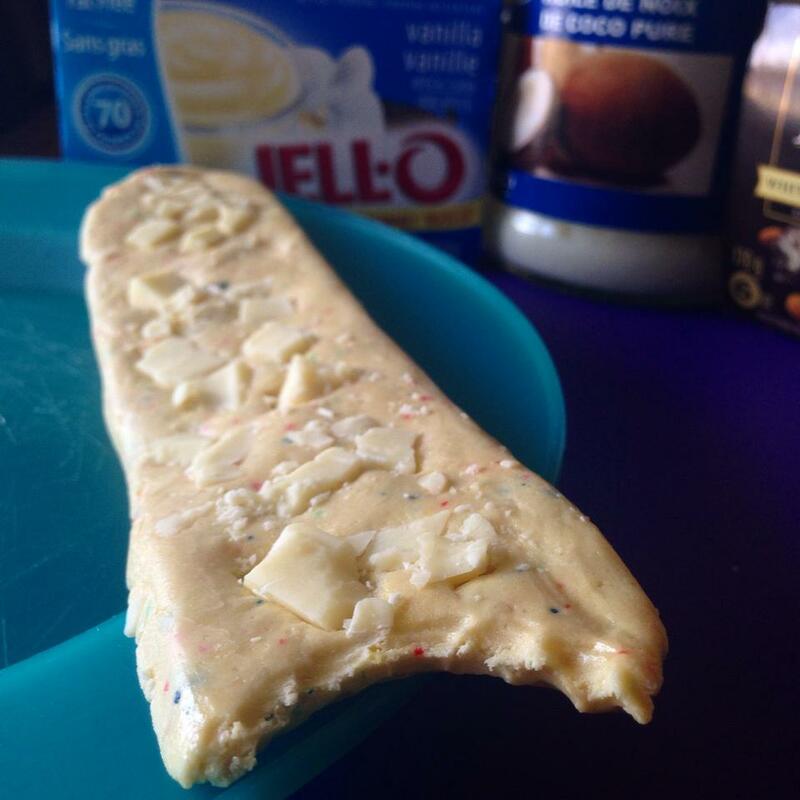 If you like Quest Bars, White Chocolate, Coconut or Confetti-cake batter then this bar is for you. It’s one heavenly combination of flavours.